Graduate study at the Victorian College of the Arts offers specialised programs across areas such as dance, design for stage and screen, film and television, theatre making and visual art. We run graduate information sessions in September each year, and further opportunities exist to speak to academics and current students at Open Day in August and at our Graduate Study Expos in January, May and October. Sign up below to receive information about upcoming events, related to your area/s of interest. Are you a contemporary dancer, movement-based practitioner or choreographer interested in furthering your performance or choreographic skills? VCA Dance offers graduate students the creative space and support to help you reach your dance or movement-based career aspirations. Sign up below to receive more information about upcoming events related to VCA Dance. VCA Production offers graduate courses for people interested in pursuing a career in design, in the context of live performance or film and television. Our graduate design courses can provide you with the skills and practical experience to launch your career in stage and screen design. Our graduate programs in design welcome students from many varieties of creative background, including visual art, theatre, filmmaking and design: from architecture and industrial design to fashion or graphic design. Sign up below to receive information about our upcoming events related to graduate production design. VCA Film and Television courses can help you develop the skills and networks you need to forge your own career in the Australian or international film industry. Our courses balance intensive, studio-based practice with critical studies, and the learning environment creates the opportunity to form professional relationships that will prove invaluable throughout your career. Sign up below to receive information about upcoming VCA Film and Television events. VCA Theatre offers graduate courses aimed at providing students with the support, networks and creative play-space to build your skills, and write your part in the future of Australian theatre. Our graduate programs in theatre welcome students from a range of performance and writing backgrounds. Sign up below to receive more information about upcoming events related to Theatre. VCA Visual Art fosters independently led studio practice, to help artists find and develop their individual style. We offer a range of graduate programs in visual art, for artists at all levels. At our information session run in September each year, you will have an opportunity to hear from our visual art staff from different practice areas, all practising artists in their own right, about how our courses may be able to help you pursue the practice of a professional working artist and allow you to critically engage in the debates of contemporary visual art. Sign up below to receive information about our upcoming information sessions. Where will graduate study at the VCA lead me? Graduate study at the VCA can open up doors and help you find and develop your own artistic voice. Our boutique programs provide the breathing room, the support, networks and industry links for you to explore your own ideas, be inspired, and develop your creative career. Check out where some of our graduates find themselves a few years on from graduation, such as practicing visual artist Fred Fowler, who was recently commissioned by fashion label Gorman to produce a series of artwork for their Fred Fowler X Gorman collection. 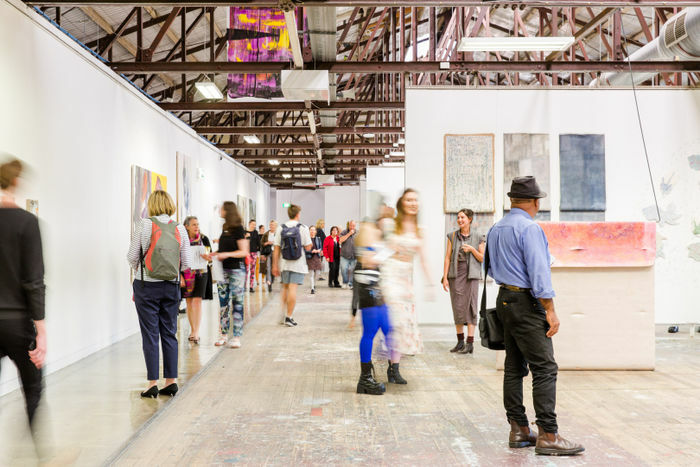 The Victorian College of the Arts welcomes artistic practitioners across a diverse range of fields, to study advanced coursework certificate, diploma, masters by coursework, masters by research, and PhD programs. Whether you're interested in furthering your own arts practice, developing technical or specialised skills, or taking a leap and investing in your creative passions for the first time, we have a broad range of graduate programs to suit your background and objectives. Interested in graduate study at the VCA? Make an enquiry now.